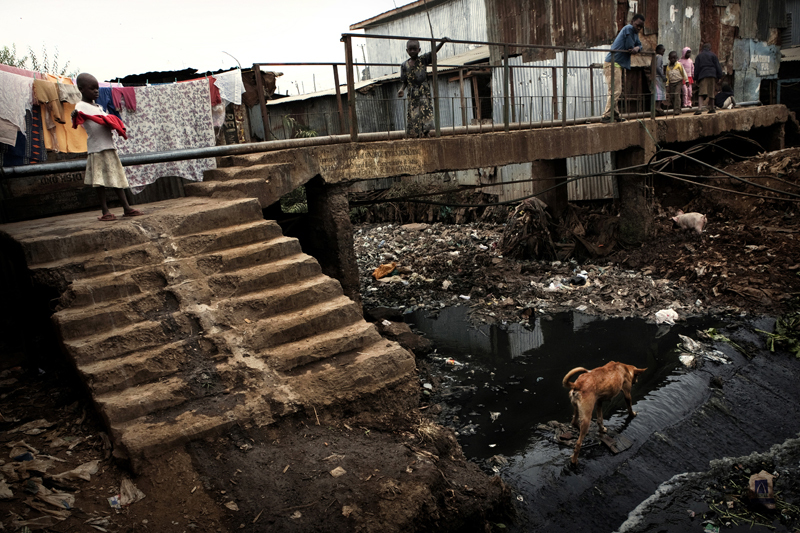 KIBERA SLUM - JULY 9: A garbage dump in "Soweto" an area in the slum of Kibera where fetuses are regularly dumped. Every week they find aborted fetuses in the garbage-filled stream. They wash away or are eaten by pigs. A young girl hangs her laundry to dry in the slum of Kibera in Nairobi, Kenya on July 9th, 2010.